The Vermont Senate is considering stripping Attorney General Bill Sorrell of his powers to prosecute campaign finance violations. Replacing him, according to lawmakers who support the idea, would be an independent elections oversight commission. Sorrell, the state's top law enforcement officer, has refused to appoint an independent counsel to investigate allegations that he took official action in exchange for campaign contributions and violated other campaign finance laws. The AG has denied the allegations and called it a waste of taxpayer money to investigate them. Democratic, Republican and Progressive members of the Senate Committee on Government Operations say the situation has prompted them to question whether it's appropriate for an elected official to enforce his own compliance with the law. "The fact that the attorney general is charged with investigating him or herself is clearly ridiculous," says Sen. Anthony Pollina (P/D-Washington), a member of the committee. "And then the idea that the attorney general should decide not to investigate him or herself because he doesn't believe there's any wrongdoing is really absurd." The committee has invited Sorrell to testify next Tuesday on the idea and other changes it's considering to campaign finance laws. Other invitees include Vermont Republican Party vice chairman Brady Toensing, who filed a complaint against Sorrell last Sunday, as well as Lt. Gov. Phil Scott and his 2014 opponent, Dean Corren. In addition to establishing an independent elections commission, the Senate committee is also considering retroactively reducing penalties facing those who violate public-financing laws. Last month, Sorrell accused Corren, the former Progressive and Democratic nominee, of exceeding contribution limits in his 2014 bid by soliciting a supportive mass email from the Vermont Democratic Party. Sorrell has called for Corren to face $20,000 in fines and reimburse the state $52,000 in public funds his campaign spent. Corren has denied the charges. Committee members from all three parties say they would like to give the attorney general more latitude to seek less severe penalties. "Everybody in the building seems to have consensus that that just does not smell right and needs to be changed," Sen. Joe Benning (R-Caledonia), another committee member, says of the proposed $72,000 fine. "It doesn't matter what political party you're in. It's a situation you look at just as an average Vermonter and you think, 'What the hell is that all about? That's just wrong.'" Sen. Jeanette White (D-Windham), the committee's chair, was initially reluctant to insert herself into pending litigation and apply any changes retroactively, but now that Republicans are on board, she supports doing so. "I thought it might look like we were favoring Democrats and Progressives somehow," she says. "It's not a partisan issue anymore, so now I'm more comfortable about making changes right now." All three senators say the charges against Corren and the counter-charges against Sorrell point to a broader need to remove political actors from the enforcement process. Other elected officials with the power to investigate Toensing's charges against Sorrell, including Gov. Peter Shumlin and Vermont's state's attorneys, have expressed reluctance to do so. "I don't think it's appropriate for somebody to investigate themselves in any kind of question like that," Benning says, adding that it "just smacks of not being proper." He says he supports the creation of an independent elections oversight commission and believes it should have significant authority. "If I had my druthers ... I would not only vest the commission with the power to investigate, but also to give them some kind of enforcement powers," says Benning, the Republican minority leader. According to White, an independent commission would address what she sees as "a matter of perception" that the AG lacks accountability. "It isn't that I don't trust anybody in that position to do a good job, but just the perception that it could be seen as, 'I'm OK because I know what I did,'" she says. With just weeks remaining until the legislature adjourns, it's unclear whether the Senate committee will have the time to draft and approve such significant legislation. Either way, Pollina says, the legislature should consider holding hearings to address the allegations against Sorrell. "Ultimately, he really needs to be held accountable and to have a full airing of those allegations. 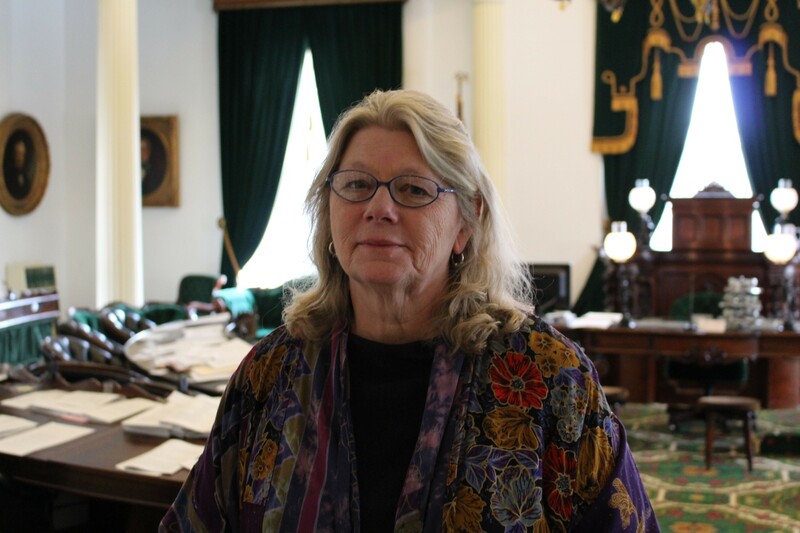 To hold him accountable is not only good for Vermonters and for democracy, but I think it would be good for [Sorrell] as well," Pollina says. "I think we could hold hearings and have the conversation in a public kind of way to try to shed some light on it. I don't know who else is out there."